Lighting is one of the most popular product categories and seems to be getting more popular all the time. Handcrafted Car Audio is a specialist in lighting, and will work with you to create the styling and effects you have always wanted. We are specialists in automotive electrical wiring, and our installation standards meet or exceed that of the vehicle manufacturer, so you can be assured of years of trouble-free use. Here are some of our most popular products in lighting. LED lighting has taken the automotive industry by storm. This technology allows for incredible light output with low current draw compared to incandescent lighting. The better systems will also outlast the life of your vehicle, so replacing bulbs will become a distant memory. One of the things we like best about this new technology is the many different form factors we have available for you. 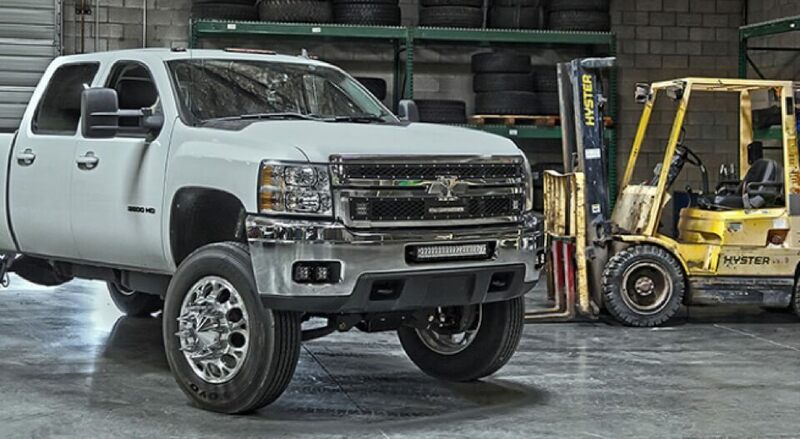 Rigid Industries is one of the most popular brands in the field. LED light bars will transform the look of your vehicle, and they come in lengths from as small as 4” all the way up to 54”, in both straight and curved styles. 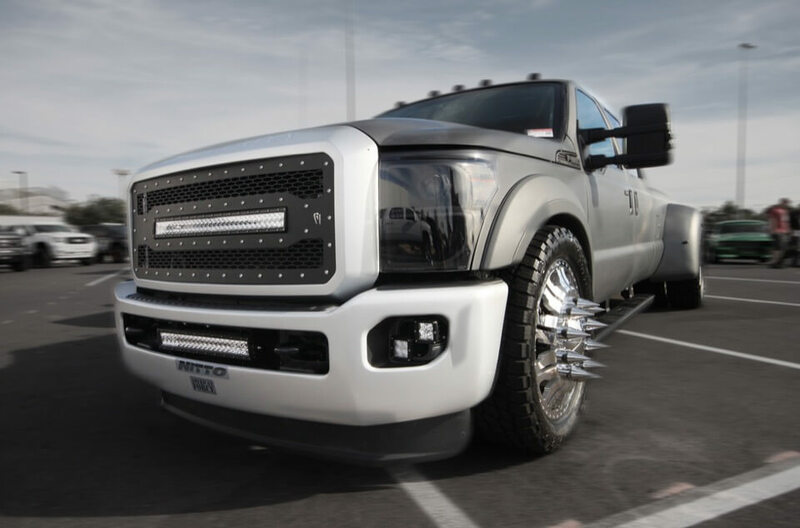 For popular vehicles, we have mounting options such as the front bumper, grille, hood and even top of the windshield. Handcrafted has a full fabrication facility in-house, so if someone does not make a mount for a light, we can often make it for you. 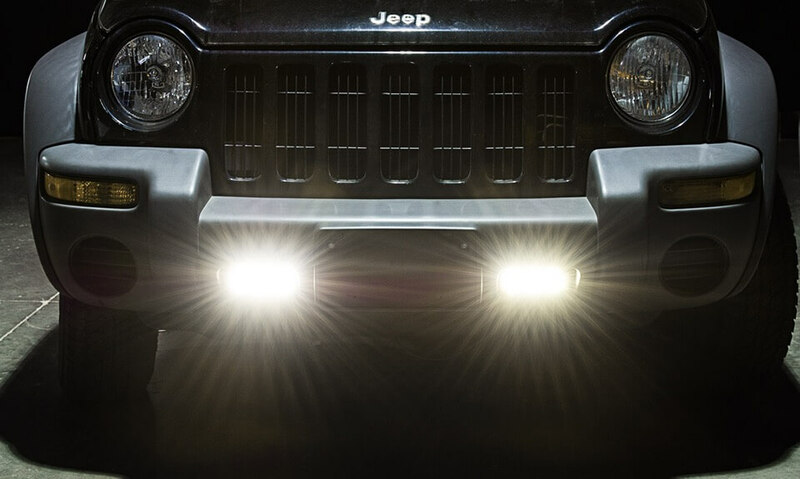 Due to their poor performance, factory foglights are mostly just for show, but our replacement LED foglight kits will give you vastly superior output while fitting in the stock locations. 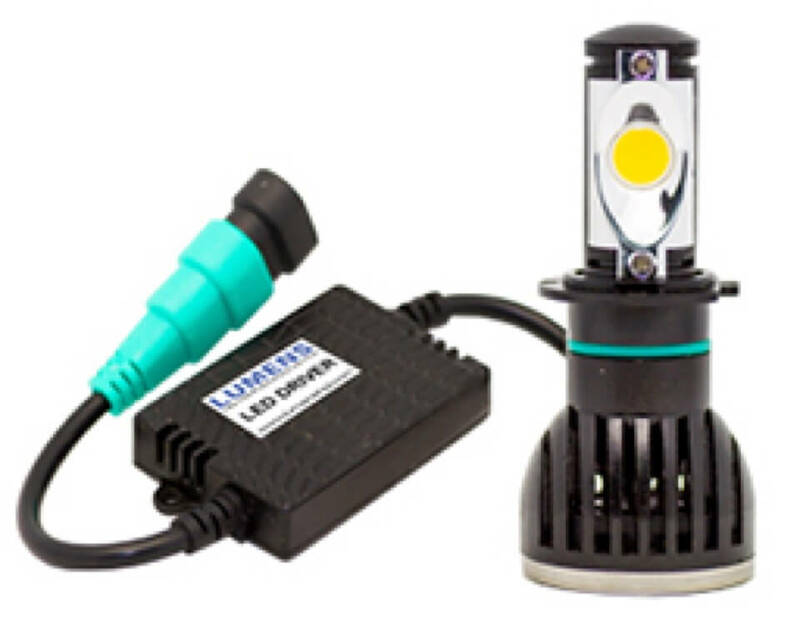 We also have LED bulb kits for many foglights as well, in case a replacement unit is not available. 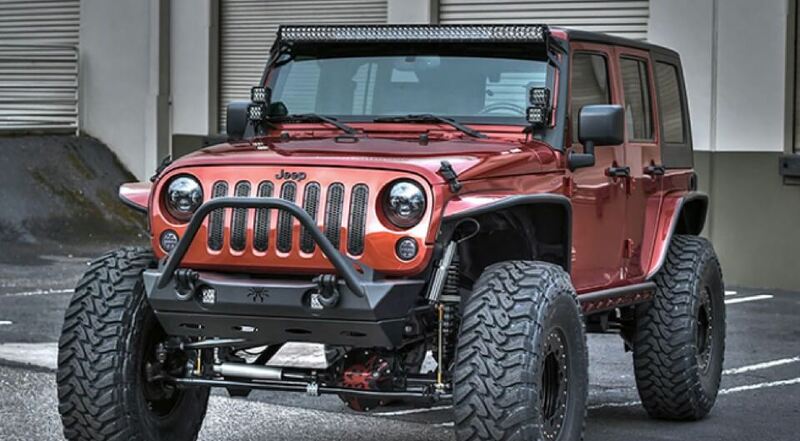 If you like round or square lights instead of light bars, we have you covered as well. Plus, we have LED lighting for your rear bumper that can be surface-mounted or flush-mounted, for use as high-output reverse lights! LED headlights are starting to become popular. If your vehicle has replacement round headlights, you are in luck. We have DOT-approved LED headlight kits that will give you incredible improvements in night-time visibility while transforming the look of the front of your vehicle. If you own a Jeep, these are a perfect fit right out of the box. If we don’t have replacement headlights available, we offer LED headlight bulbs that will work in many popular vehicles. While you’re at it, ask us about replacement reverse light bulbs in LED. They offer you a simple yet effective way to see better at night. Over the last few years, more and more manufacturers have gotten into LED lighting. Unfortunately, that also means that some of the products are low quality and won’t meet the standards of Handcrafted Car Audio. Our team spends significant time wading through the sea of products available to find you the best-value, highest-performing LED lighting available. HID lighting has been popular for over a decade. It stands for high-intensity discharge. In simple terms, HID lighting uses a ballast to raise the voltage from 12 volts to the several thousand volts needed to fire the gas in these bulbs. They have greatly increased output while giving you color that is much whiter – a lot like sunlight. 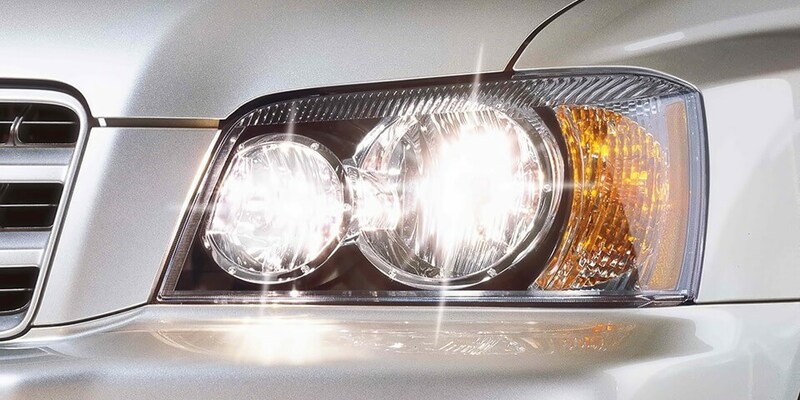 This gives you much better visibility at night, and your headlights no longer have a yellowish look when illuminated. You will now have a white light with a hint of blue that looks incredible. We have this technology available for both headlights and foglights for most popular vehicles. Handcrafted Car Audio would like to note that lots of HID kits are lousy in quality, but we only sell and install the finest kits available. We also have installation standards that ensure better reliability. We see many kits that have ballasts that are not mounted, with wiring that is just strewn around the engine compartment, which can lead to premature failure. Our installations will make you think they came factory-equipped. Interior accent lighting is another area where we can help you transform your vehicle. We love installing lighting in colors that accent the interior of your vehicle. From foot wells to center consoles to under the seats to replacement interior lights, we have you covered. If you own a boat, we didn’t forget about you. We have accent lighting to give your boat a classy look at night while allowing you to move around safely. Whether you are looking to illuminate the cabin, the dock as you approach or the wake you leave behind, we have high-quality products and even better installation standards for you and your boat. Lastly, if you own a work vehicle that you use outside at night, we can install lighting for you to make those night-time projects much more efficient and safe. After all, your livelihood depends on your ability to see your work environment as if the sun were in the sky … we come in a close second! We invite you to stop by Handcrafted Car Audio with your vehicle. Let us give you a tour of our facility and show you some of our current projects and all of our capabilities. If you care about your vehicle and want to make it stand out from the crowd, our team of award-winning installers is ready and waiting to serve you.